Mortgage rates have fallen to record lows. But if you’re in the market for a home loan, you’re going to have a tough time matching the deal that Facebook founder and CEO Mark Zuckerberg got on his mortgage. 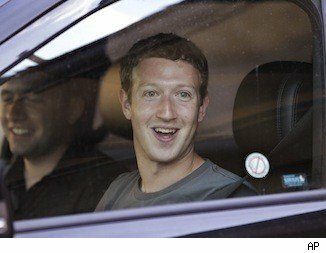 Like millions of Americans have done in recent years, Zuckerberg decided to refinance his mortgage. But according to Bloomberg, the rate he got was amazing low: just 1.05 percent. How did he do it? And can non-moguls get a similar deal? The key to understanding why Zuckerberg got such a great deal on his mortgage is that he didn’t get a conventional fixed mortgage. Rather, he decided to refinance his $5.95 million loan on his Palo Alto, Calif., home with an adjustable-rate mortgage. Adjustable-rate mortgages, or ARMs, got a lot of notoriety during the housing boom. With lower interest rates, ARMs helped many homebuyers afford high-priced homes, because they often offered low teaser rates for an initial period of time. But after that teaser rate went away, borrowers were stuck making higher monthly payments, which many blame for what eventually cracked the housing bubble. Even so, the average ARM, which locks in rates for one year at a time, carries a rate of 2.7 percent. What helped Zuckerberg get an even lower rate was his willingness to accept monthly resets of his interest rate. That means his monthly payments could rise as soon as August. Despite that theoretical risk, few people expect interest rates to rise anytime soon. The Federal Reserve has said that it plans to keep rates low at least for the next couple of years, and many analysts expect an even longer period of low rates. That said, there’s not much downside to the Facebook founder even if the Fed raises rates. That’s because Zuckerberg has a huge reserve of wealth behind his loan. Unlike most homeowners, he can simply sell assets and pay off his mortgage loan if the interest rate on his loan suddenly skyrockets. The trend that most homeowners have followed recently is to get rid of adjustable-rate mortgages in favor of fixed loans. With average rates on 15-year mortgages at 2.86 percent and 30-year mortgages fetching 3.56 percent, ordinary homeowners don’t get much benefit from taking on the risk of an adjustable-rate mortgage. Despite Zuckerberg’s cheap rate, trying to follow in his footsteps isn’t a smart idea for most homeowners. Refinancing to a fixed-rate mortgage will help you lock in affordable, predictable payments no matter what happens to interest rates in the future. You can follow Motley Fool contributor Dan Caplinger on Twitter here. The Motley Fool owns shares of Facebook.